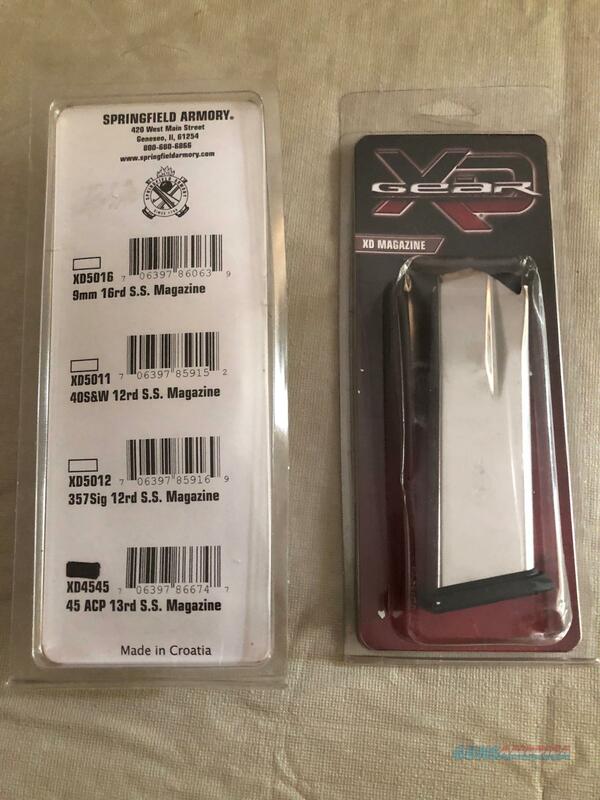 Description: Three (3) Springfield XD4545 13 round magazine. Brand new in unopened factory package. 3 mags weigh approximately 1 lb. Buyer pays shipping. I will not ship to restricted cities/states.